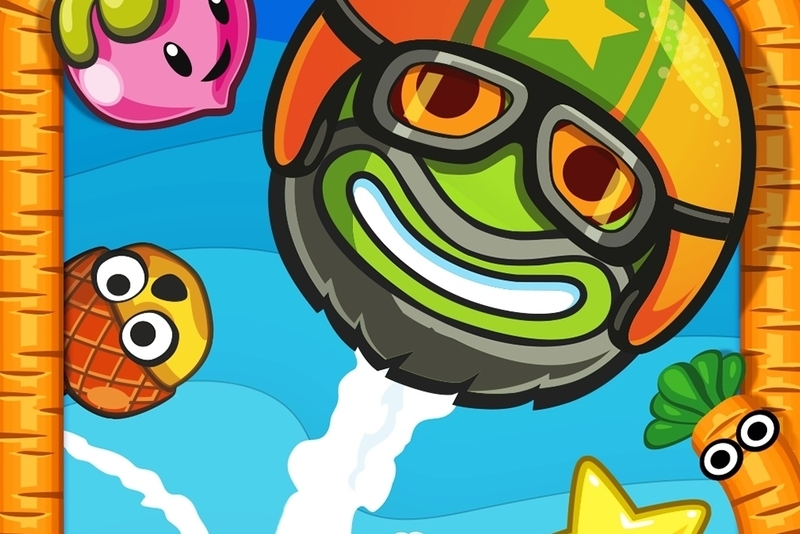 Our essential tips for beating King's addictive new mobile game. The long-awaited mobile version of King's Facebook game Papa Pear Saga has just popped up on the Google Play platform, and the iOS version should hopefully follow in the very near future. If you're already playing the game, or just want to get a headstart on the action, here are some essential hints and tips for getting started and scoring big. - The gameplay's deceptively simple, and is all built around the same core mechanic. 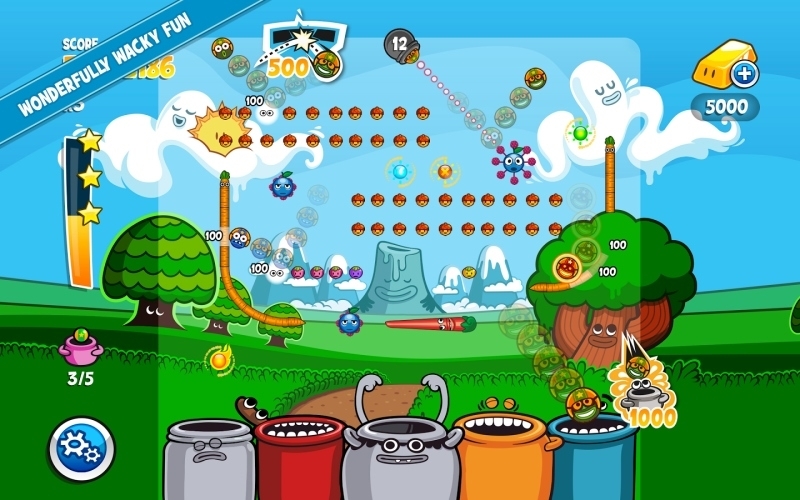 At the top of the screen you'll have a pear-firing cannon, in the middle you'll see a series of pegs made from acorns, vegetables and all sorts of other objects, and at the bottom is a line of hungry buckets. While you'll occasionally be given other objectives to meet, most of the time you're simply trying to clear every peg, and rack up as high a score as possible. - You'll use up a lot of pears using this tactic, but one way of rapidly increasing your score is to fire off more than one pear at a time. You're not just limited to firing one at a time, you see, and when you're under time-pressure this can really make the difference between success and failure. - If you want to get a higher score in Papa Pear Saga, the first thing you need to do is try and rack up as many peg hits as you can before your pears hit the buckets. Can you ricochet off a piece of scenery to keep the shot bouncing around for longer, increasing the number of pegs it's likely to hit? Always try to keep your pear bouncing around the screen for as long as possible. - If you're challenged to put a pear in every bucket as well as reach a certain high score, concentrate on getting the high score first. The reason for this is simple - if you clear every peg, you've got a completely open line of sight for firing pears at any remaining buckets. Always be on the look out for any ways of simplifying the objectives in the game. 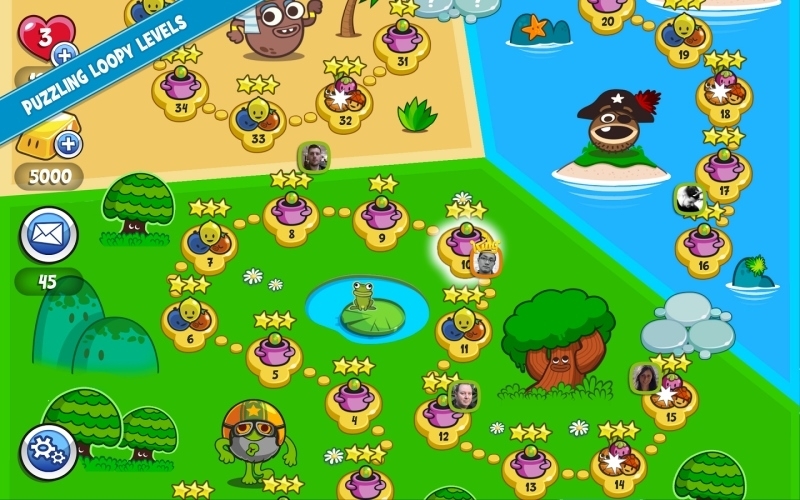 - You'll only have so many lives to play with in the game, so make sure you pay very close attention to the objectives you need to meet before starting a level. More than once we've convinced ourselves that we just had to get a high score, then realized we'd missed out! Once you've run out of lives in Papa Pear Saga, you'll need to wait a little while for your stock to top up again. - Keep your eyes peeled (no pun intended) for any special boosters that crop up from time to time. You can buy more with credits, or create them with combos, but if you see a booster appear at random during a level attempt, divert your efforts towards picking it up. - One other way to pick up a few useful extra points is to aim your pear directly into the buckets, without the shot bouncing off the sides. Useful to know if you've got a completely clear game board, and a clear shot at the bottom of the screen. - Every now and then you'll come across some very powerful special pegs that can really change the flow of the game. Here's a breakdown of how each one works, and why you should do your best to grab 'em. Effect: This incredibly useful special peg expands the size of your current pear, allowing it to touch on many more pegs at a time. Set this off in the middle of a grid and you'll be laughing all the way to the leaderboards.